Customers of US bank Wells Fargo will be able to withdraw cash from ATMs using an NFC-based mobile payments service such as Apple Pay, Android Pay and Samsung Pay when the bank rolls out an upgrade across the US “later this year”. “When this feature is live, a customer will be able to initiate a transaction by signing into a leading mobile wallet — Wells Fargo Wallet, Apple Pay, Android Pay or Samsung Pay — and holding the phone near an NFC-enabled ATM terminal,” Wells Fargo says. The announcement follows the roll out of a One-Time Access Code feature that enables the bank’s customers to withdraw cash using an eight-digit token and their debit or ATM card PIN number at 13,000 ATMs. 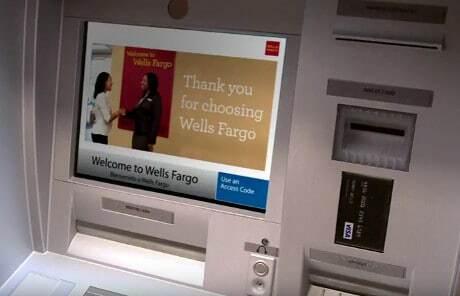 Reports that Wells Fargo was working on adding mobile withdrawals at the ATM first surfaced in December 2015. The bank added NFC payments to its mobile banking app in May last year.